It’s been a turbulent few days, even by the usual standards of the Brexit process. Brexit Secretary Dominic Raab has resigned, apparently unable to give his commitment to the agreement that he was largely responsible for negotiating. Work and Pensions Secretary Esther McVey has also quit, reportedly following a cabinet meeting in which she was reduced to tears, as have Junior Northern Ireland minister Shailesh Vara and junior Brexit minister Suella Braverman. The Prime Minster is now being hauled over the coals by everyone from the opposition to her own party, as Jacob Rees-Mogg moves to lead a vote of no-confidence. 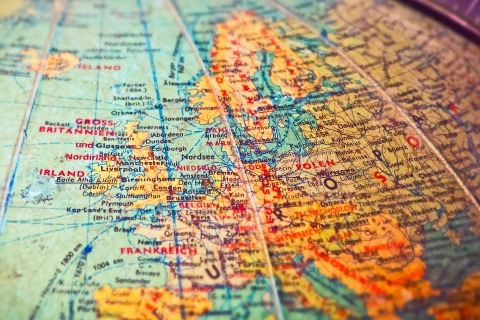 In order to best meet investors’ needs, specialist property investment agency Surrenden Invest has put together a thorough, detailed Brexit Guide. The document takes a no-nonsense look at the economic fundamentals that the UK is facing following its decision to leave the EU. It looks at the economy as a whole, as well as segmenting out Brexit’s impact on industry, retail, foreign direct investment and housing. Far from being a London-centric document, the new Brexit Guide considers the regional perspective and implications, with Birmingham, Manchester, Liverpool and Newcastle all under the spotlight in terms of their future investment potential. Surrenden Invest is well positioned to comment on these regional hives of activity, having spent years working with local developers to bring some of the finest contemporary residential developments to investors. 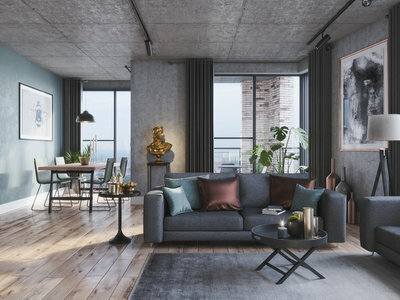 The company’s latest development, Ancoats Gardens in Manchester, epitomises the high quality homes that are available to investors looking to be part of the future of the UK housing market, once they can see past the Brexit politics. 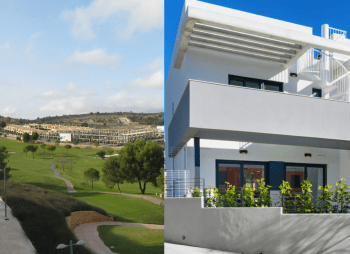 The future of property investment – where will 2019’s housing hotspots be? It’s time to gaze into the housing market crystal ball to see what 2019 might bring. 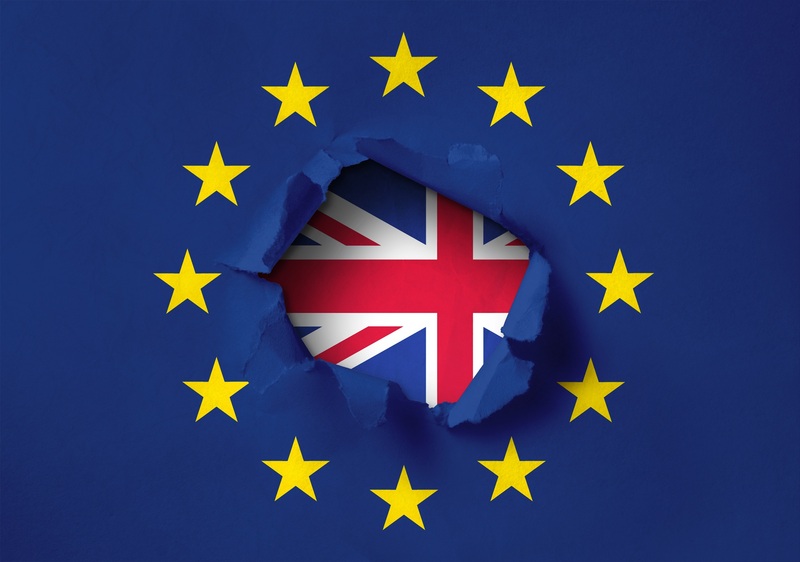 With the UK set to part ways with the EU at the end of March, it’s going to be an interesting year for any number of sectors, housing included. However, specialist property investment agency Surrenden Invest believes that the UK is as prepared as it can be to ensure that property investment continues as business as usual. The UK is in the midst of a housing crisis and is falling further and further behind each year in terms of delivering the number of homes that our population needs. The 13,000 new homes mentioned in this week’s Budget are a mere drop in the ocean. Combined with the rapid rise in popularity of city centre living, the shortage of housing is creating pockets of extreme demand in some of the UK’s regional metropolises. As such, the Surrenden Invest team has done some number crunching (with a little help from data from the Office for National Statistics and Zoopla) to see which hotspots are worth keeping a close eye on over the year ahead. Manchester is on track to experience a 14.1% population increase between 2018 and 2041, meaning it will be snapping at Birmingham’s heels in terms of growth. The city has already risen up the ranks in recent years, making it onto IBM’s list of top ten global destinations for foreign direct investment in 2017 (as part of the Manchester-Liverpool metropolitan region). More than 300 languages are currently spoken in London’s schools, highlighting the diversity of the capital’s future workforce. The city attracts some of the best and brightest as a result of its vast range of employment opportunities and is home to a huge rental population. According to PWC, 60% of Londoners will rent their homes by 2025, as the city’s young (and not so young) professionals rent in ever greater numbers. Liverpool is on track to experience a population increase of 12.0% between now and 2014, as the city continues to attract talented young people as a result of its thriving service sector, healthcare sector and knowledge economy. The city’s extensive cultural offering is also a draw, from its plentiful museums and art galleries to its excellent restaurants and lively music scene. 42% of Liverpool’s population is below the age of 30, compared with 37% nationally. This youthful population is driving forward Liverpool’s reputation as an innovative, entrepreneurial city. It is also one of the main forces behind the extensive regeneration that the city is experiencing, while the growing trend for city centre living is creating new hotspots close to key attractions and amenities. Newcastle’s city centre population has grown rapidly since the turn of the century. According to Centre for Cities, Newcastle city centre enjoyed population growth of 112% between 2002 and 2015. The massive jump in demand for city centre living is creating a hotbed of innovation within the housing sector, as developments seek to woo the bright young things who have flocked to the city for work and want prime accommodation in the heart of Newcastle. With a superb social scene and a thriving urban renaissance well underway, Newcastle’s attractions to ambitious young professionals are plenty. It also has a rapidly growing student body as a result of its superb universities. Student numbers at Newcastle University have shot up by over 70% since 2000, while Northumbria University has enjoyed a student body increase in excess of 114% over the same period. With nearly 50,000 students in total, a full sixth of the city’s population is engaged in study, creating a uniquely youthful atmosphere as Newcastle grows its own talent for the future. Over the past five years, the number of landlords in the UK has increased by 27%. Not only are there more landlords, by they are buying more properties – an average of 1.8 properties each, according to Ludlow Thompson. For the last tax year, when the government’s 3% Stamp Duty levy for second home owners was in full force, and mortgage interest tax relief was on its way out, landlord numbers rose to a record high of 2.5 million. Given the continuing keen interest in UK property, particularly in regional cities, specialist property investment agency Surrenden Invest is encouraging potential investors to consider the true cost of buy to let property. Their aim is to ensure that potential investors have clarity on all of the costs involved – not just the cost of having a buy to let mortgage. While the long list of fees might seem off-putting, investors with a keen eye for a good deal can cut costs while still investing in high end homes. At The Tannery in Liverpool, for example, apartments are available from £85,000. That means that investors pay only the lowest rate of Stamp Duty, as the cost of the home is well below the £125,000 threshold of the first band. Investors at Westminster Works in Birmingham, meanwhile, have the option of selecting stylish David Phillips furniture packs. 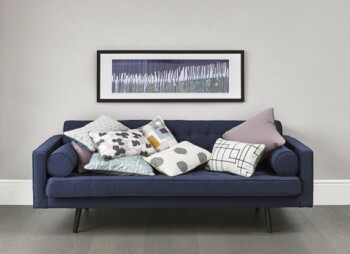 Doing so can offer a significant cost saving compared with choosing comparable furnishings from high street suppliers, and also cuts out the cost in the investor’s time of having to furnish the apartment. 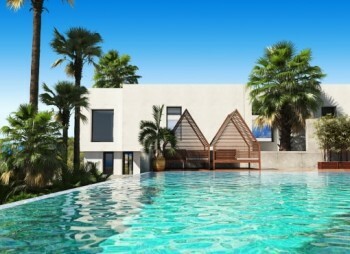 Other costs are simply part and parcel of the investment, such as service charges and ground rent. Management fees can potentially be avoided, though for many new build investment opportunities, the management company arrangements are a core part of the deal. And even when they are not, those looking for hands off investment opportunities often find that the drag on their time as a result of managing the property directly soon means that they are happy to bear the small cost of using a professional management company. Again with financial clarity for investors in mind, the Surrenden Invest team have just announced the addition of mortgage and stamp duty calculators to their website. The new functionality will be available in the next few weeks, as the company seeks to provide investors with the right tools to aid their understanding of the true cost of buy to let. Liverpool has just hit the headlines for leading the UK’s cities in terms of its house price growth. The Hometrack UK Cities House Price Index reported 7.5% inflation in Liverpool during the year to August 2018. 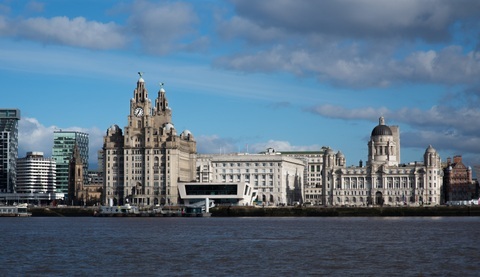 For those working in the Liverpool property sector, the news comes as no surprise. As part of the Liverpool-Manchester metropolitan area, the city was recently flagged up by IBM’s annual Global Location Trends report as being among the top ten cities in the world for foreign direct investment (FDI). The area pulled in the tenth highest number of FDI projects in 2017, according to the report, resulting in the creation of some 7,000 jobs. Earlier this year, TripAdvisor also highlighted Liverpool as one of the best places in the world to visit. The city’s cultural offering was key to that decision. This year, it is offering a year-long programme of events, exhibitions, seasons and performances to mark the ten-year anniversary of Liverpool being crowned European Capital of Culture. One of the most impressive offerings is the Terracotta Warriors exhibition, which is drawing in visitors from around the UK and beyond. According to Hometrack, Liverpool’s average property price stood at £120,100 as at August 2018, against a UK average of £217,300. For those buying a main residence, that means 0% stamp duty. For those buying a second home (including investment properties) it means the lowest stamp duty rate, of 3%. Factor in a 10-15% discount for off plan properties, and Liverpool really does have some exceptional investment deals available. Apartments at The Tannery, for example, are available for as little as £85,000, with anticipated yields of 6% net. Despite the low entry price, the homes have been designed to offer outstanding quality, synonymous with the world’s greatest capital cities – those with which Liverpool has been rubbing shoulders on the IBM Global Location Trends report. Bright contemporary interiors are complemented by on-site facilities including a 24/7 concierge, secure underground parking, a spacious communal courtyard and a roof garden, all in the sought-after L3 postcode area. Terrific terraces – The sky’s the limit in Hayes! The London Borough of Hillingdon’s motto is “Putting our residents first,” and that is precisely what the local planning team is doing. The team has just granted planning permission for a stunning new roof terrace that will top the Gatefold Building in Hayes. The move will bring a host of new features to residents of the Gatefold Building, enriching their experience of urban living in Hayes. The exciting roof terrace area will include a host of community-friendly features, including three ‘pod’ seating areas and two pergolas. In addition, trellising, seating, decking, planting and associated furniture will delight all those with green fingers. The Gatefold Building already has a reputation for pushing the boundaries of want renters in Hayes can expect from their homes. 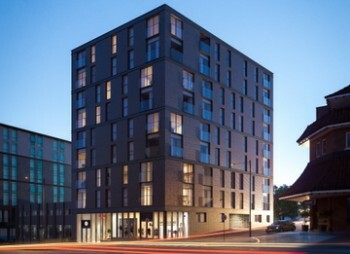 The 119 one, two and three bedroom apartments provide a pet-friendly community living experience that comes complete with hotel-inspired services such as a concierge, on-site maintenance team and free super-fast broadband. 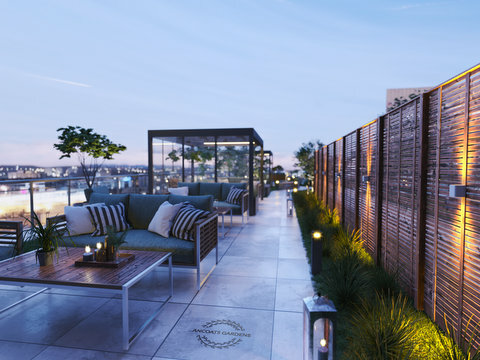 The fifth floor roof terrace’s focus on gardening is in response to resident demand. It has been designed to offer a unique recreational space that residents can use flexibly, depending on what they want from it. 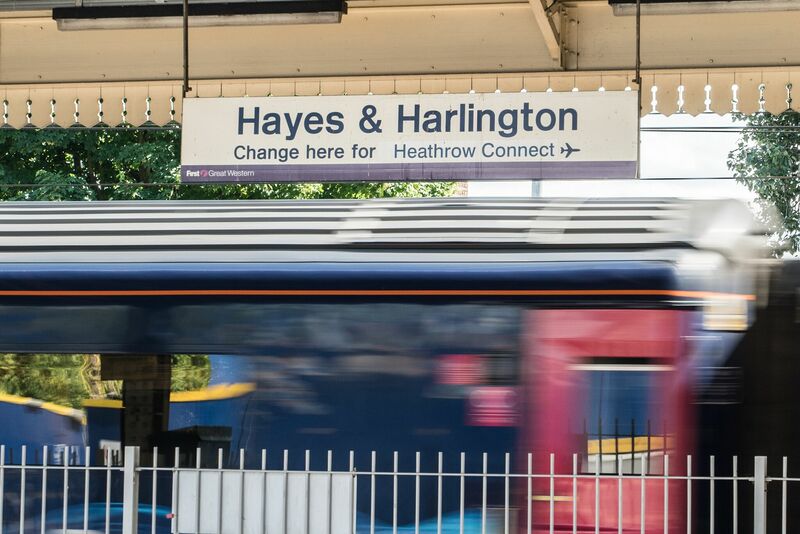 From a quick drink after work to growing blooms worthy of the Chelsea Flower Show, the space will satisfy the needs of Hayes’ renters in a way that no development has done before. With planning permission granted, the be:here Hayes team can progress with developing the new roof terrace for residents’ enjoyment. The stylish design has been carefully crafted to balance a sense of space and serenity with a welcoming community vibe. The same balance is evident throughout the development, which provides a sense of calm and space for residents, while also providing them with access to the vibrant Old Vinyl Factory development, which will include restaurants, leisure facilities and a music venue in honour of the site’s previous incarnation as an EMI factory. Residents of the Gatefold Building already enjoy a superior accommodation experience. Now, with work on the terrific roof terrace due to commence shortly, they can look forward to soon being part of Hayes’ most exciting residential outdoor space as well. Prices at the Gatefold Building start from £1,300 pcm. The installation of a 110m tall loughing crane over the August bank holiday weekend will mark a new era for Newcastle’s residential accommodation, according to leading property investment agency Surrenden Invest. The crane is being installed to enable the next phase in the erection of Hadrian’s Tower, a residential development that will become the city’s tallest building. 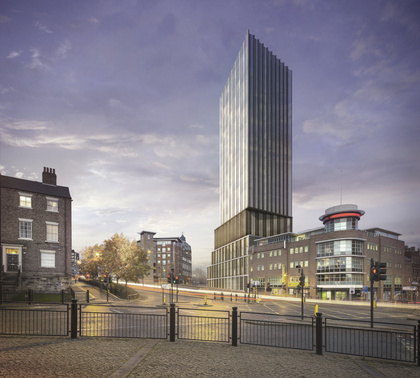 At 27-storeys tall, Hadrian’s Tower will be an exciting new addition to the Newcastle skyline. The apartment block is set to usher in a new style of chic, urban homes, with residents benefitting from a range of on-site amenities. These will include a 24/7 hotel-style concierge service, a café and touchdown meeting points. The crowning glory will be the stunning sky lounge, which will offer unsurpassed views across Newcastle. With an eight-tonne load capacity, the 110 metre loughing crane, which has a reach of 127 metres, will be used to lift everything from concrete slabs to plasterboard to cladding materials. “This is a complex operation, due to the size of the crane. Even the mobile crane that is used to install it is enormous. Depending on the weather, we’ll be looking to have the Hadrian’s Tower crane in place by the end of Sunday 26 August. It will then remain on site for a year and the development will be visible from most entry points into the city during that time. The crane’s installation marks an exciting stage in the building’s progression and is expected to generate considerable local interest. According to Surrenden Invest, it also signifies the city’s arrival on the global investment map. Why is it that prime property buyers just can’t get enough of Birmingham? It wasn’t too long ago that those with a passion for property almost took pride in never looking further than the prime London property market. Now, however, it is Birmingham that has captured investors’ imaginations – and for more than purely financial reasons. The UK’s second city certainly has the right credentials in terms of its numbers. The West Midlands housing market saw annual house price growth of 7% during Q2 2018, according to Halifax, meaning that prices there are rising significantly faster than anywhere else in the UK (the next highest house price increases were in Wales and Scotland, which both recorded growth of 3.7%). Within Birmingham itself, the pace of increase appears to be even faster, with Hometrack’s UK Cities House Price Index reporting a rise of 2.9% in the past year alone. But price rises are only half of the story when it comes to Birmingham. The city also provides exceptional value in terms of its asking prices. The average Birmingham property costs just £161,100. That’s cheaper than the average for Manchester, Leicester, Leeds and a wide range of other regional cities. It’s also well below the UK average of £218,600, according to Hometrack’s figures. The story so far as prime city centre property is concerned is even more compelling. In London, prime sales volumes have plummeted by 16.9% over the past year, according to the Q2 2018 Coutts London Prime Property Index, while prices have fallen by 1.7%. This is in stark contrast to Birmingham, where Knight Frank has projected that prime residential values will continue rising, hitting £500 per square foot by 2020. 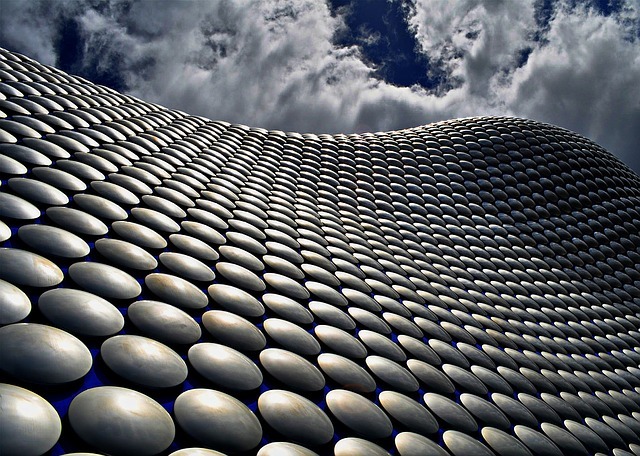 HSBC, Barclays, Deutsche Bank and HMRC are among those to have been drawn to Birmingham in recent years. Now, the city is also among the top three options for the location of Channel 4’s new headquarters. And still property prices remain well below the UK average. HS2 has played an important role in elevating Birmingham in the eyes of investors in recent years. The high speed network has pushed forward a number of regeneration schemes within the city, with enhanced connectivity to London and Europe seen as a key driver for Birmingham’s rising reputation overseas. Regeneration work is widespread, with areas such as Digbeth and Smithfield benefitting particularly. Interest in the city is so strong that leading property investment agency Surrenden Invest has been taken aback at the speed with which homes at its Westminster Works development are selling. Priced from £165,000, the properties provide investors with a 5% NET yield and plenty of scope for capital growth. The Surrenden Invest team is now poised to unveil a further Birmingham development, in close proximity to the Mailbox, although further details of this are currently being kept under wraps. One thing is for certain though – in this dynamic and fast-paced city, the next innovation is just around the corner.